Find books, articles, and more in OneSearch. 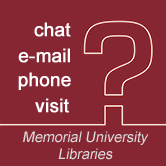 Our library has many e-journals you can browse online. Contains references from technical papers, journals, conference proceedings, books and transactions in such fields as marine engine design, offshore technology, marine safety, naval architecture, marine pollution, and computers in the marine industry. Index and abstracts to comprehensive engineering literature from international journals, conferences , and reports. WRA provides summaries of the world's technical and scientific literature on water-related topics, including characteristics, conservation, control, pollution, treatment, use and management of water resources - concentrating on freshwater supply. Abstracts articles from journals, books, conference proceedings, and technical reports in engineering, the physical and life sciences, as well as from legal and government publications.